The lack of recent blog activity has not been due to a lack of content, rather keeping up with all of the amazing weddings and portraits I have had the honor of photographing this summer. 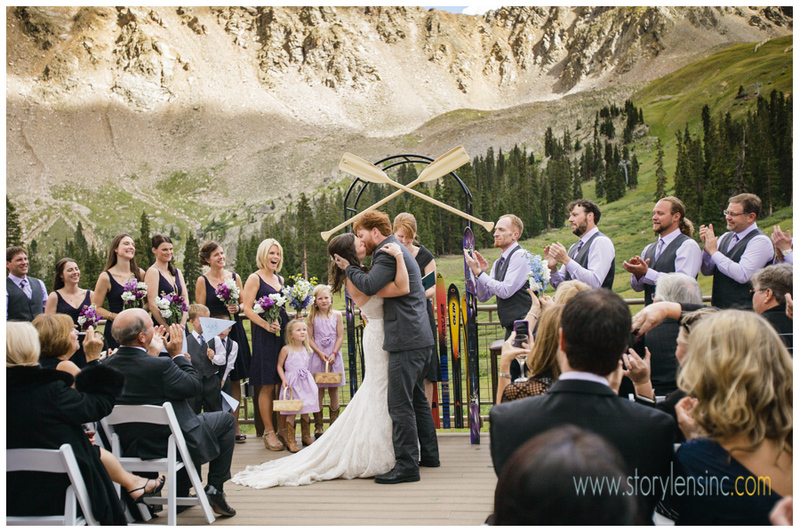 I couldn’t help but taking a moment to post this shot from Abby and Loren’s recent Arapahoe Basin wedding. It really sums it all up. The beauty of the mountains, the romance, the love… More posts to come soon from this season’s work!